There are no rooms available at Capel Pentwyn for these dates. 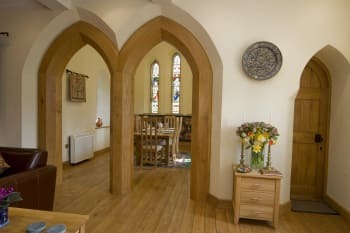 A luxury converted Victorian Arts & Crafts chapel in the village of Penallt overlooking the Wye Valley. 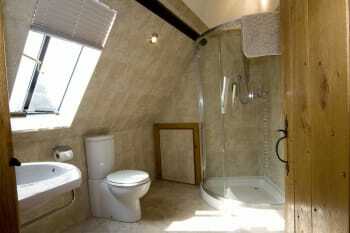 A ground floor bedroom & shower for elderly or wheelchair user. Fresh flowers & a Welcome Tea tray on arrival. One dog accepted. 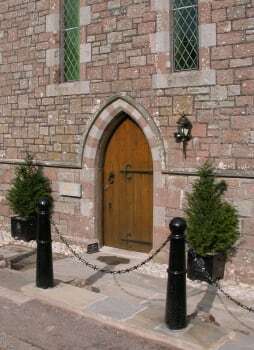 The property is 4 miles from the historic town of Monmouth and well placed for walking, cycling, canoeing, and golf. Local Award winning Pub/Restaurant The Inn at Penallt only 300 yards away. We would strongly recommend a stay at Capel Pentwyn. I'ts a beautiful place and we were very well looked after. Beautiful and unique property in a great location for exploring the surrounding area. 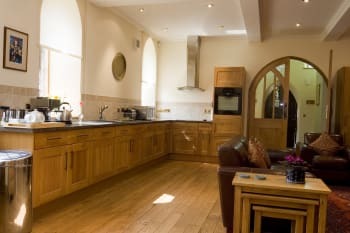 The kitchen is extremely well equipped and the masses of information about local attractions and walks was very useful. The scenery and colours at this time of year is just stunning. We had a brilliant week. My only comment would be that it was quite hard to find information on the website regarding room configuration and facilities available - I had to use the disabled document to find out what I wanted to know. The Inn at Penallt is excellent - great food and friendly staff. The circular walk from Monmouth to Redbrook using the Offa's Dyke path and the River Wye path was beautiful - with a very good lunch at the Boat Inn. We also visited The Big Pit, Clearwell Caves, Chepstow Castle and Museum and the Mappa Mundi at Hereford Cathedral - all of which I would highly recommend. For spectacular views go to the Kymin, Symonds Yat Rock, Sugar Loaf mountain and the view point off Fancy Road in the Forest of Dean. Many thanks for making our short stay in Capel Pentwyn so enjoyable. The location is idyllic and the conversion is stunning. My only regret is that we didn't have more time available to increase the length of our stay. The food in the local pub, a couple of hundred metres down the road, is excellent. 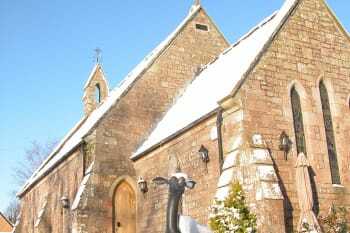 An outstanding property, sensitively restored from its previous and historical role as a village church. The illuminated welcome of the chancel stained glass is only surpassed by the warmth of the rescued 19th century Norwegian wood stove. Country lanes and open vistas across the misty valley. 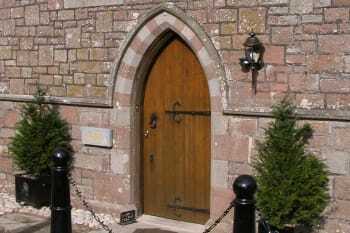 Do not miss the 13th century Penallt Old Church approached through a lych gate along an avenue of pleached plane trees. It was once regularly visited by pilgrims on the way to Bristol en route to Santiago de Compostela. 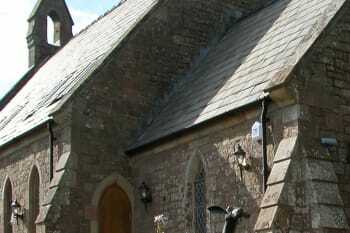 This is a beautiful converted Chapel in a gorgeous location. It had everything we needed and was in a good position to visit places in Wales and the Forest of Dean. Would definitely recommend if you are looking for a quiet location with loads of character. We really enjoyed having diner at the Boat Inn. Either ourselves or members of our family have stayed at Capel Pentwyn a number of times now, we have stayed twice. 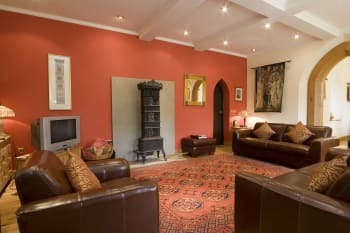 We love the village and the area is great for walking, but most of all we love the Capel tto stay in. Always a nice welcome and everything that you need is there. We will be back, possible next year. The inn in the village is open Tuesday to Sunday and serves great food. The Lion at Trellech is also good. Also the boat at the bottom of Lone Lane serves good beer and its a good healthy walk back up the hill. Travellers should note that there are no shops in Penallt, the nearest being in Monmouth. So they need to make sure the have all they need with them. Ros was so friendly and helpful, a real pleasure to deal with. 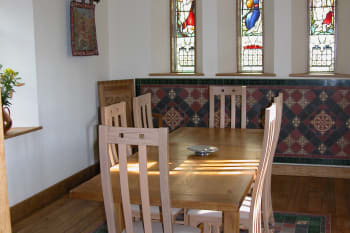 Capel Pentwyn has the best kitted out kitchen I've ever found and the dining area in the chapel makes sitting down to eat a particular pleasure. Such a shame that the village no longer has a shop. Never mind, bring friends, stock up at the supermarket and use the well appointed kitchen to cook together. As usual, we had a wonderful stay at Capel Pentwyn. The cottage is beautiful, extremely comfortable and very well equipped as well as being in a stunning location. Great for walks in the Wye Valley and we had a good meal at The Inn at Penallt which is within walking distance. There are other restaurants in the area too. Have stayed on several occasions and will continue doing so. We love the area. Discovering the surrounding facilities are part of our holiday.